Chicken Lettuce Wraps are a popular item on restaurant menus, so I was thrilled when I perfected this scrumptious lighter version that I can make at home. It has all the punch of the original but with far fewer calories and much less fat and sodium. Liberally coat a large skillet with oil spray, and preheat it over medium-high heat. Add the carrots, celery, bell pepper, water chestnuts, scallions, ginger, and garlic. Sauté, stirring occasionally, until the vegetables soften slightly, about 5 minutes, adding a tablespoon of water at a time as necessary to prevent scorching. Reapply oil spray if necessary, and add the ground chicken to the skillet. Cook until the chicken is no longer pink, breaking the meat into a fine crumble with a wooden spoon as it cooks. Season with the black pepper. Add the plum sauce, soy sauce, vinegar, and chili paste and stir to coat. Reduce the heat to low and simmer until heated through. Remove the skillet from the heat, and stir in the cashews and cilantro. Allow the mixture to cool slightly, about 5 minutes. Clean the lettuce and break off 12 individual leaves (trim away the stem end of the leaves if they are tough). 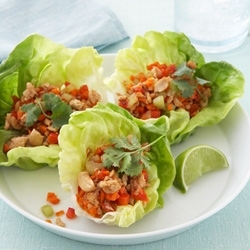 Fill each lettuce cup with roughly ½ cup of the chicken mixture. Garnish with additional cilantro if desired. 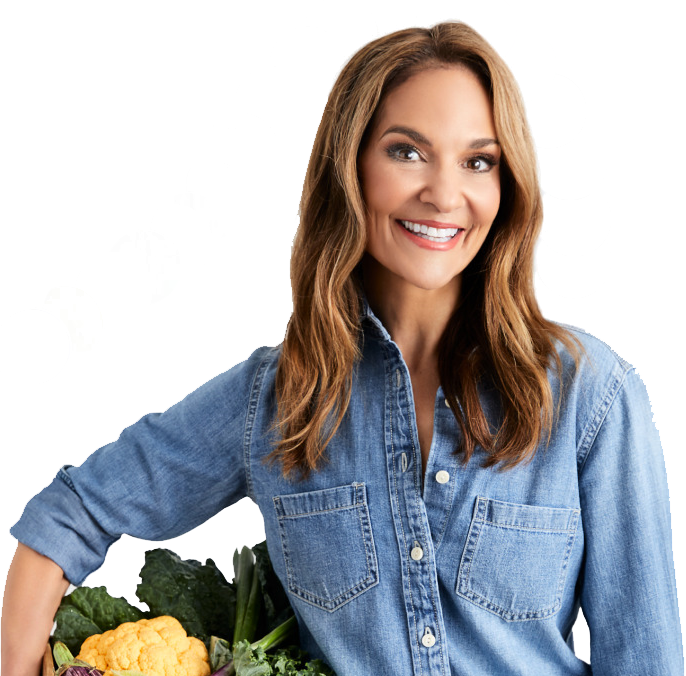 For more delicious recipes, try my Fiery Chicken Salad and Chicken Paillard!